Where the Heck Did You Stay in Cuba?! 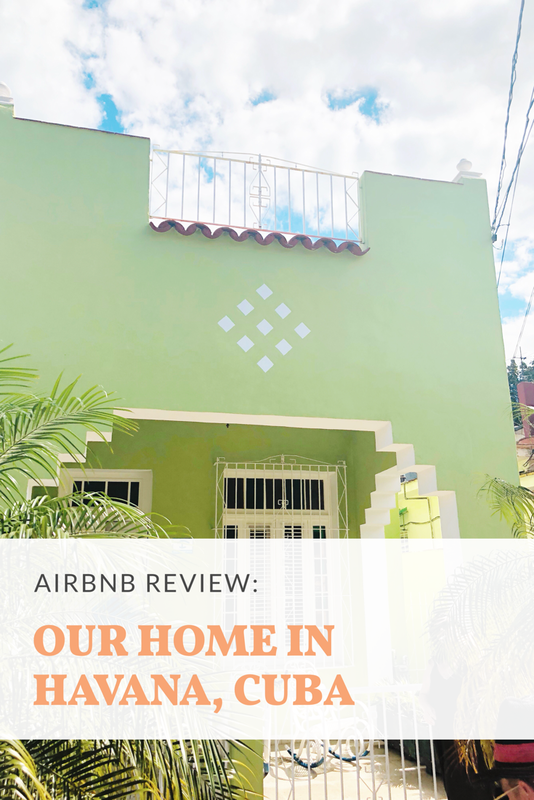 Review of our Airbnb in Havana — Beck! What the Heck?! 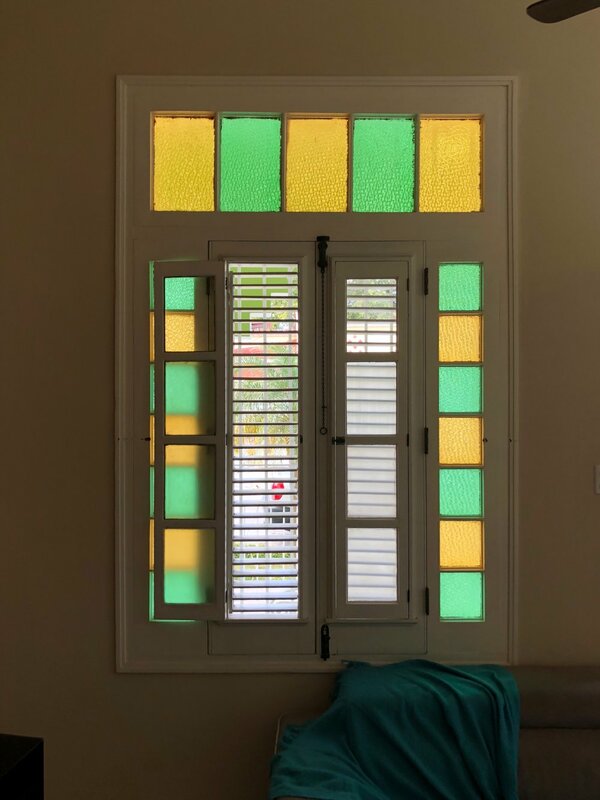 One of the most popular questions I’ve been asked about my trip to Cuba is, “Where did you stay?”.We stayed in an Airbnb that we found and booked ourselves on the website, and it was the perfect place to stay! 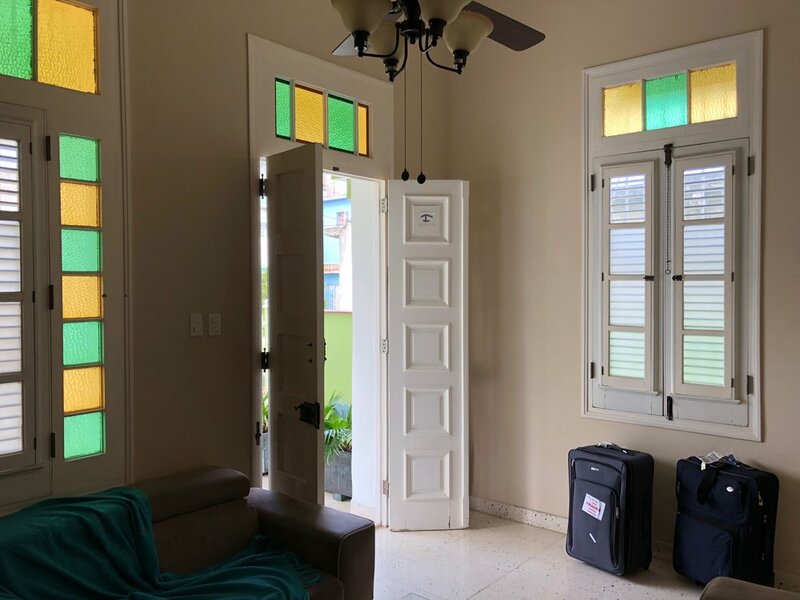 We rented the home through Airbnb and our hosts Elida and Miguel were amazing. We had two bedrooms, two baths, a kitchen, living room, and a rooftop where we spent a lot of our time. Elida was an incredible host, she had our restaurant reservations confirmed for us before we arrived, she arranged taxis for us every day for everywhere we needed to go, and she used to be a tour guide so she has the best knowledge on where to go and what to do. Elida gave us a local sim card to call her if we need her or to let her know we were ready for our taxi to come pick us up. Every morning we had breakfast prepared for us for only $5 per person. 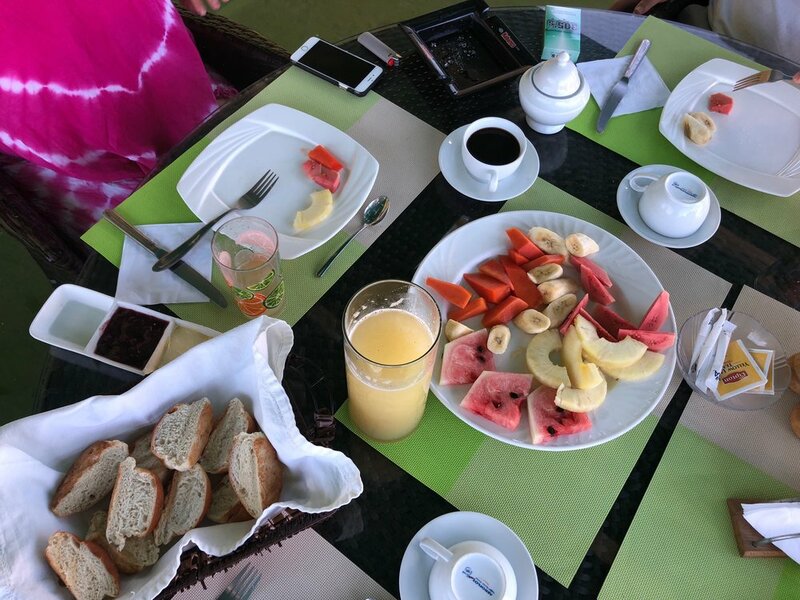 Breakfast included fresh fruit, fresh juice, coffee, bread, and eggs any way you like them. There was a stocked fridge and snacks for purchase at a reasonable price you can have during your stay. The rooftop was so nice, it was where we had breakfast and spent all of our free time in the house. There was a bathroom for each bedroom and hot water, so we didn’t really have to share. As someone who usually stays in hostels, that was really nice. Bonus: Elida and Miguel live directly across from the house so they come to check on you and make sure you have everything you need, and keep an eye on the house to ensure everything is running smoothly. 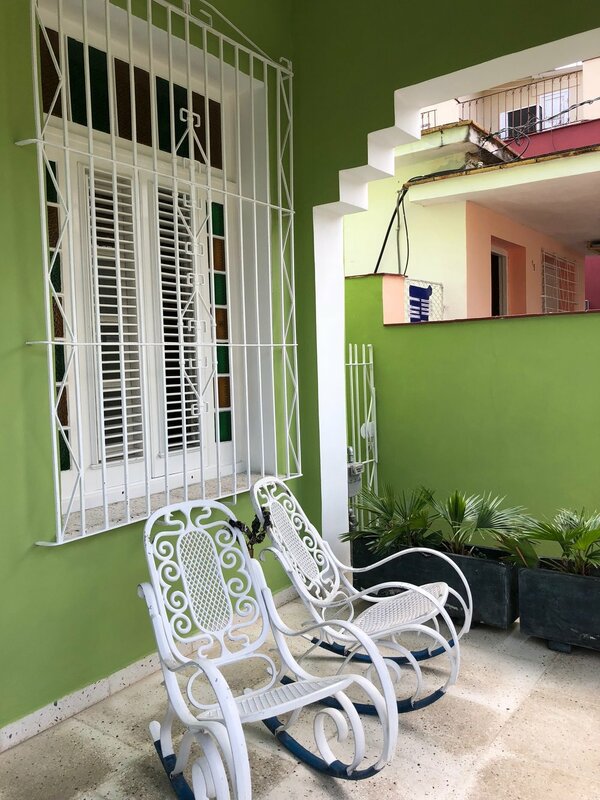 Airbnb’s and casa particulares are very popular options for accommodation in Cuba, and a great way to support the Cuban people directly during your time there. I couldn’t recommend Elida and Miguel’s green house in Havana more. They were welcoming and accommodating and they went above and beyond for us during our stay at their house. 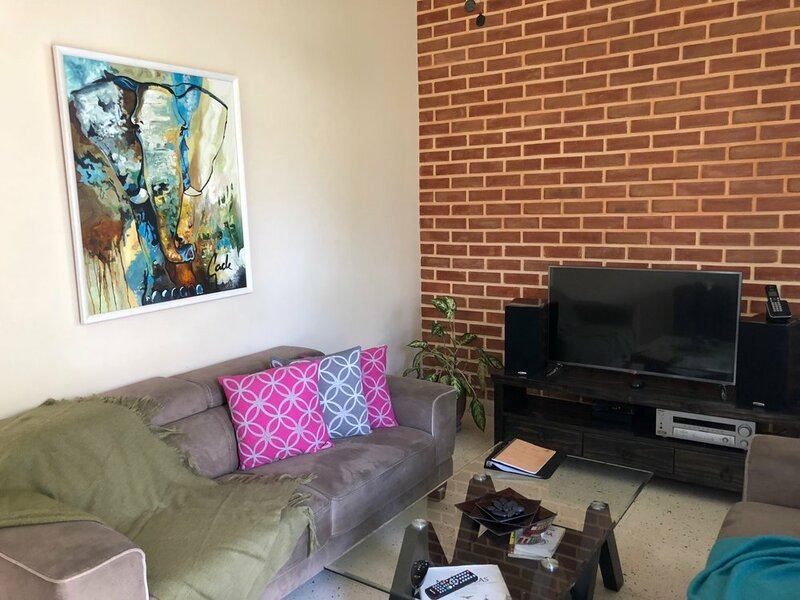 Here is the Airbnb link for Elida’s home. 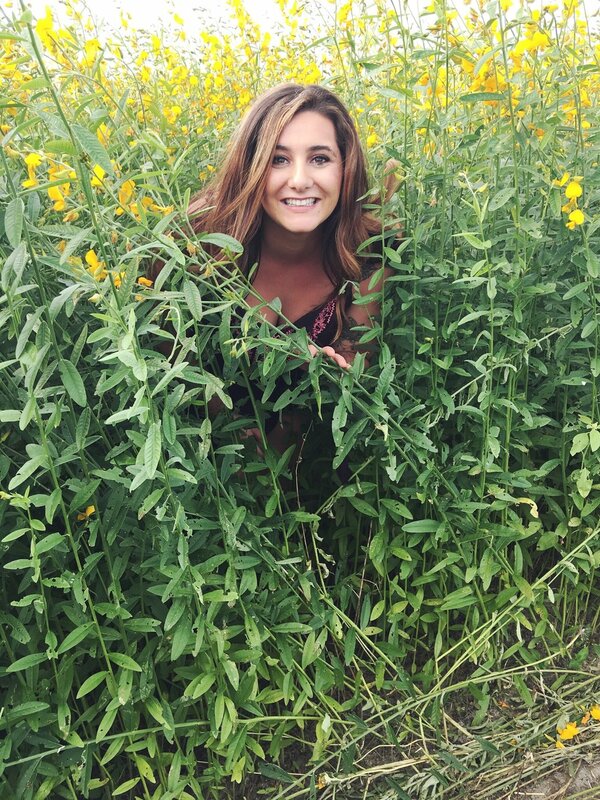 This is not a sponsored post, I just want you to be able to find the house if it’s where you want to stay.